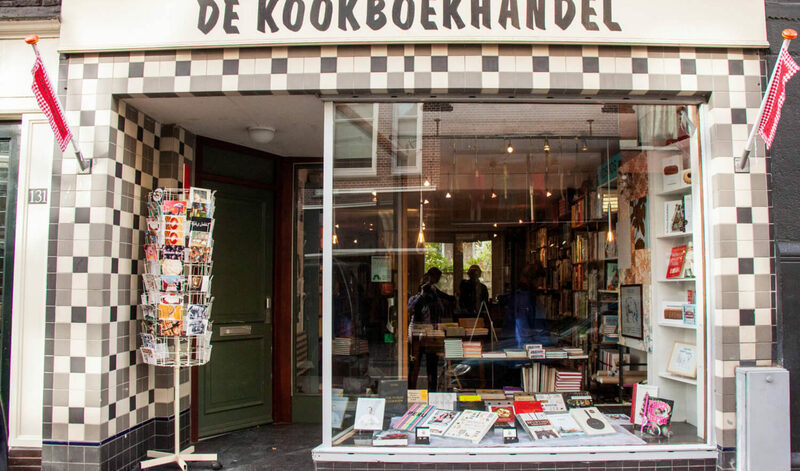 It’s a must for every food enthusiast who visits Amsterdam: a trip to the Kookboekhandel in Haarlemmerdijk. 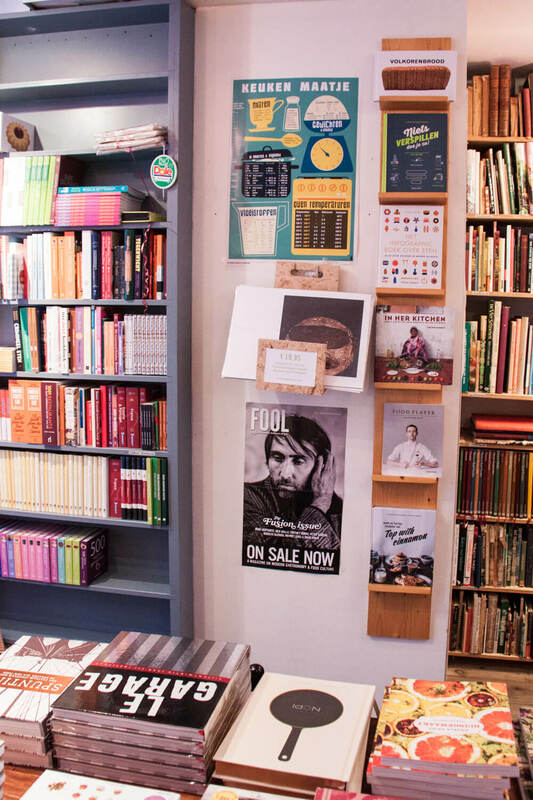 The cozy shop in one of the most unique shopping streets of the city is stocked with cookbooks from all over the world. A wonderful place to browse for hidden gems and new editions likewise. 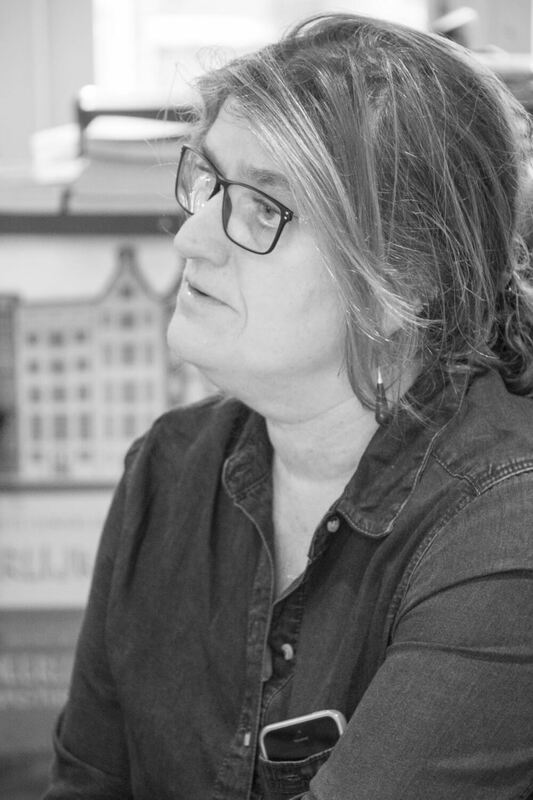 Owner Jonah Freud, a culinary institution herself, is the heart and soul of this very special place which looks like a movie setting with it’s bottom to top book shelves, culinary decoration , pictures and paintings. She serves her customers from near and far with dedicated passion and personal interest. While I was there to talk to her I got a glimpse of the variety of food enthusiasts that come to her shop: a young woman who was looking for a book on vegan Christmas cookies, a culinary journalist who browsed through new books on vegetarian food and a young man from Belgium asking for a cookbook on Peruvian food. He was his way to Peru to learn how to prepare dishes for his new food truck. 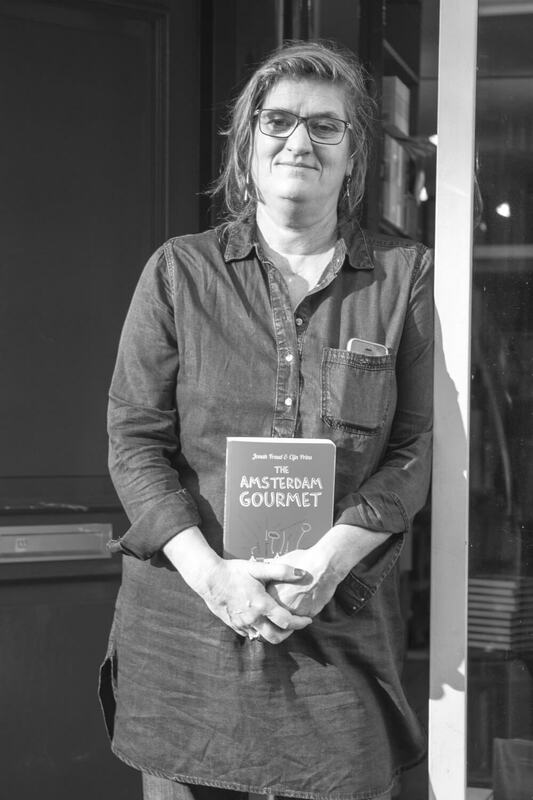 In between customers Jonah talked to me about her passion for food, the history of the Kookboekhandel, new food trends, the essence of Dutch cuisine. And she told me her favortite dining spots in Amsterdam. ETH: Your book shop, de Kookboekhandel, is an institution for culinary enthusiasts in Amsterdam and the rest of the Netherlands. How and when did you start with the shop? J.F: The shop has existed for 38 years now. I started to work there after school when I was 14 and I worked there for 5 or 6 years. Then someone took over the shop and I went to study and did completely different things. When I was 26 and a young mother, I heard that the owner was looking for someone to follow him up. That was in 1989. I took my chance. ETH: Do you know how many books you have in stock? J.F. : I always say it’s about 3000 titles. But I’ve been saying that for years and years. ETH: Is your shop just for people who read Dutch or do you have cookbooks in other languages as well? J.F. : I once heard that I was the most international cookbook shop in the world. Because the Dutch market is such a small market, I also sell books in English, French, Spanish, Italian and German. ETH: Do you have cookbooks you would not find anywhere else? J.F. : Of course I have those books. For example, I have a representative of a publishing company from India who comes once a year to present me the newest books. As a matter of fact I like to get books from as many different countries as possible. It’s a bit like a sport for me. ETH: Who are your customers? J.F. : I have three main groups; first there are the people who come here to buy a cookbook as a present for someone, then I have the hobby chefs (and there are a lot of them), and last but not least the professionals. ETH: Why do you think they come to you instead of getting a book via the internet? J.F. : Because I am the specialist. I can tell them the difference between two books on the same subject. All the books published since 1960 are in my special computer, I mean in my head. ETH: You must have an amazing memory. J.F. : Yes, I do. I have a very specialized memory. 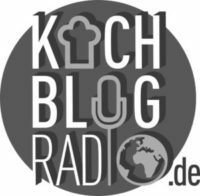 ETH: Over the last five years or so, cookbooks have become a very popular genre in Germany. However, more and more people have lost the ability to cook from scratch. Do you observe this trend in the Netherlands as well? J.F. : Yes, but I think over last two years things have changed. People have started cooking at home again. Some think this is due to the economic crisis in 2009. I personally think it is due to the fact that people feel that processed food is not good for their health. In processed food there is a lot of salt or sugar and other ingredients and people are starting to realize this. It is trendy to cook; I see this with my daughters. They and their friends love to prepare and try dishes from all over the world. 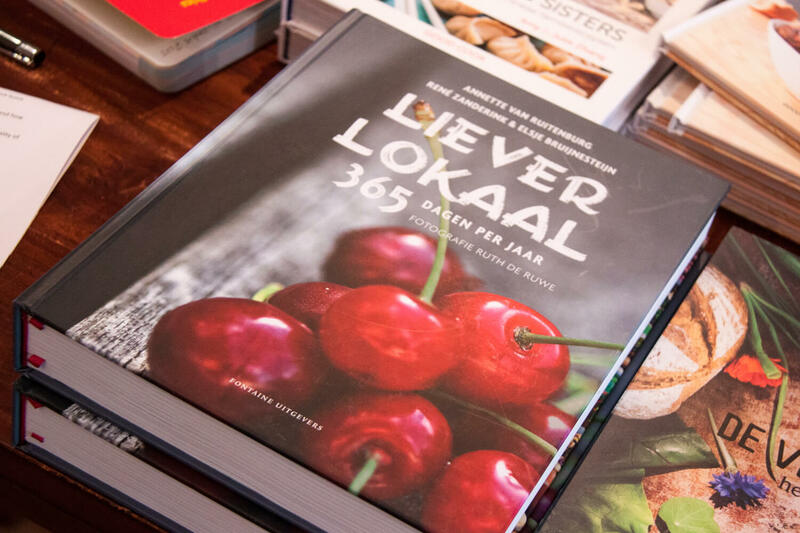 ETH: Are there any specific trends regarding special themes or cuisines on The Dutch cookbook market? J.F. : The trend here is of course the healthy food, the super food. But I think it has completely gone through the roof – it’s a complete hype. I think we should go back to acting normal again. ETH: What are your bestsellers? J.F. : Yotam Ottolenghi is one of my bestsellers and he has been from the start. 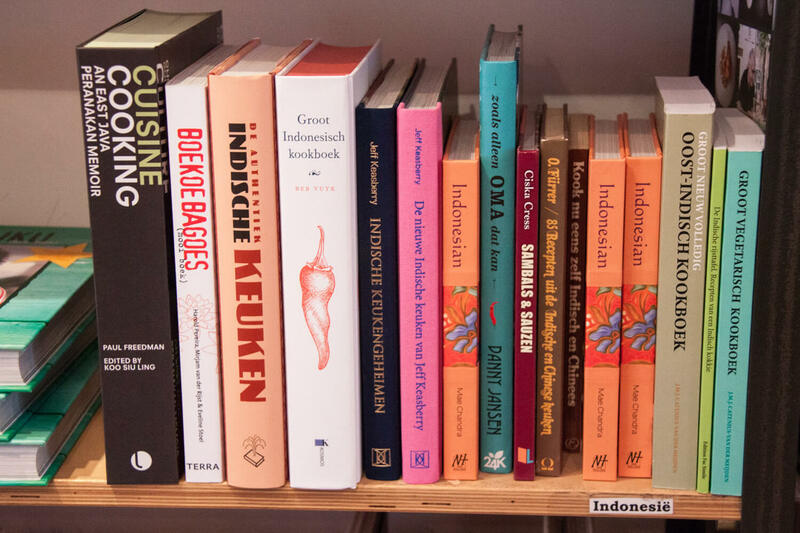 I also sell a lot of books on Indonesian food. This is a typical Dutch interest. 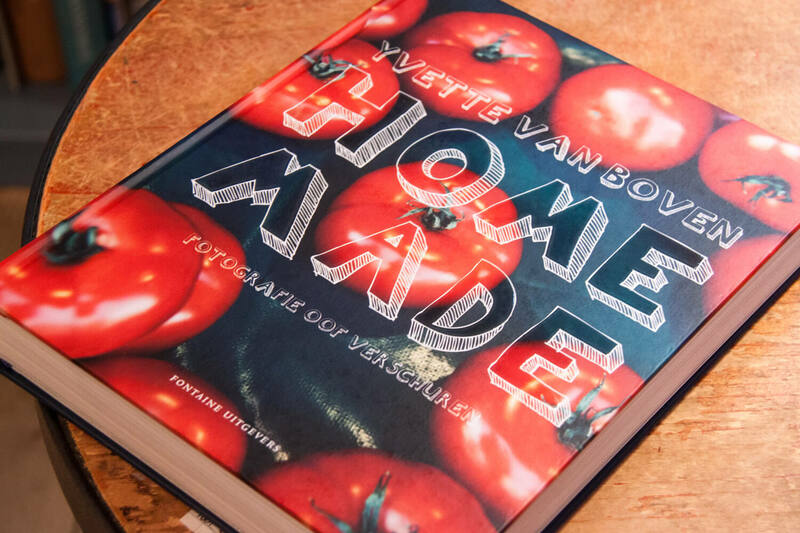 ETH: Who are the most influential cookbook authors or culinary authors in the Netherlands? J.F. 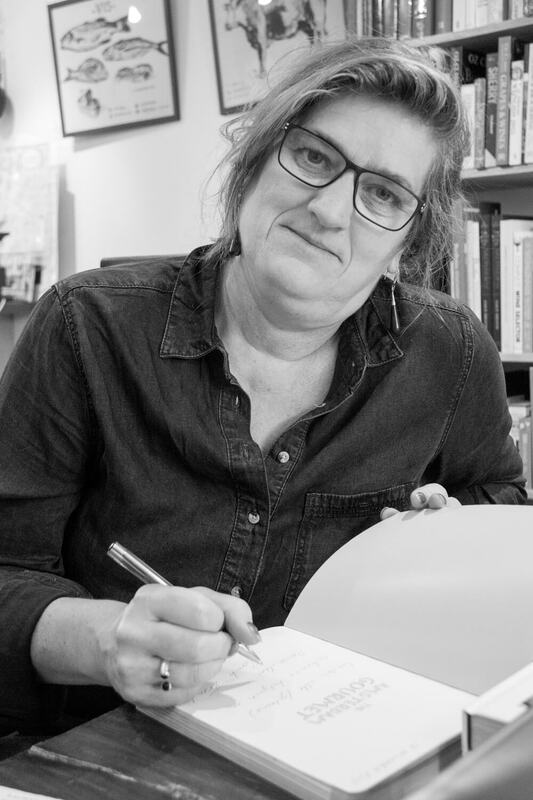 : Of the contemporary authors, Ivette van Boven is really influential. She also has a TBV program. She has written the books Home Made and Home Baked and she is being translated all over the world, in French, in English and even in German. I think at the moment she is the most well-known Dutch cookbook author. Some well-known authors in the past are Berthe Meijer who is already dead and Johannes van Dam. He was a culinary journalist and for some time, he was the owner of my shop. He wrote De dikke van Dam a sort of encyclopedia on the Dutch kitchen. He died in 2013. ETH: You also wrote some cook books. J.F. : I wrote De Banketbakker, a book on baking together with the pastry baker Cees Holtkamp. At the moment it is only available in Dutch, but we are thinking of an English translation. 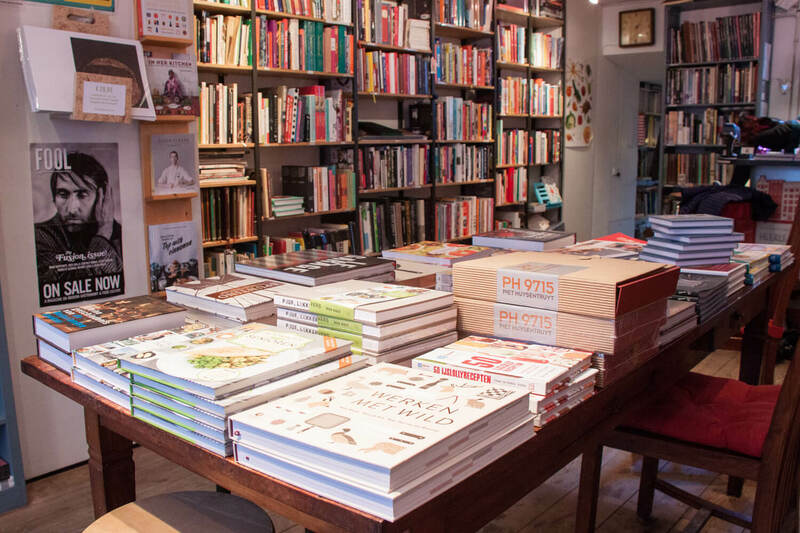 ETH: I see a book here on the table that won the price for the best cookbook in the Netherlands this year. It is called „Liever Lokaal.“ You were in the jury. Can you tell us why this book was chosen? J.F. : This is a book that contains everything that is important nowadays. It is all about Dutch local food, about ingredients you can get in the Netherlands. It is a book with a recipe for every single day of the year. It is seasonal. The recipes are easy – everyone can make them at home. And with every recipe there comes a short note on the ingredients. 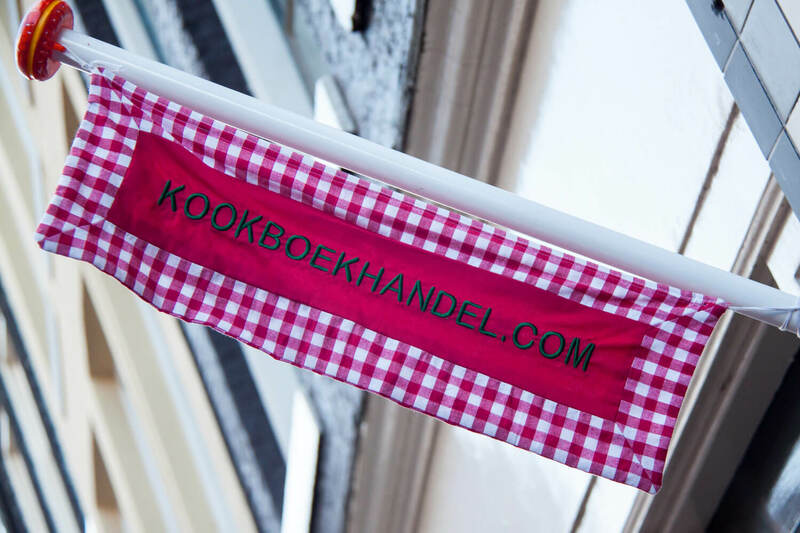 That way you can extend your knowledge on Dutch food. ETH: How many percent of the cookbooks published in the Netherlands are translations and how many percent are written by Dutch authors? J.F. : Most of them are translated, I believe about 80%. This because the Netherlands is a small market. But I have been fighting for years to get more good Dutch cookbooks made by qualified Dutch authors. This is why I joined the jury for the Dutch Cookbook Award. What makes Dutch Food Special? ETH: In your opinion, what qualities make a good cookbook? J.F. : A lot of people forget when they are writing a cookbook that the recipes must be 100% correct. They make nice books with pictures and then they write the recipes down and then these recipes don’t work. But you write recipes down so that other people can cook them. And a lot of authors forget this. ETH: Who are your 3 favorite cookbook authors and why? J.F. : You can always buy any cookbook by Claudia Roden. Every recipe is perfect. She is by far my favorite because she writes also about food history and sociology – about everything that has to do with food. I translated her book The Jewish Kitchen 15 years ago. I also like Donna Hay very much for the same reason. All her recipes are good. They are easy, so everyone can make them. They are for every day. Then David Thompson – I love his book Thai Food. It was published quite some time ago but it is the nicest book on Tai food that I have ever seen. ETH: What about Yotam Ottolenghi? J.F. : I must mention him as well. He was the first person in this world who told people to eat more vegetables and people have actually listened to him. I think that he made the change. ETH: Why did he succeed? J.F. : Because his recipes are great. They are different and they are really, really great. He proves that you can make vegetables taste as good as meat or fish. He made the difference. ETH: You are not just a book-seller but a culinary institution in the Netherlands. You work as a food journalist for the main newspapers, you have your own radio show on Radio 1, you have published a couple of cookbooks yourself. 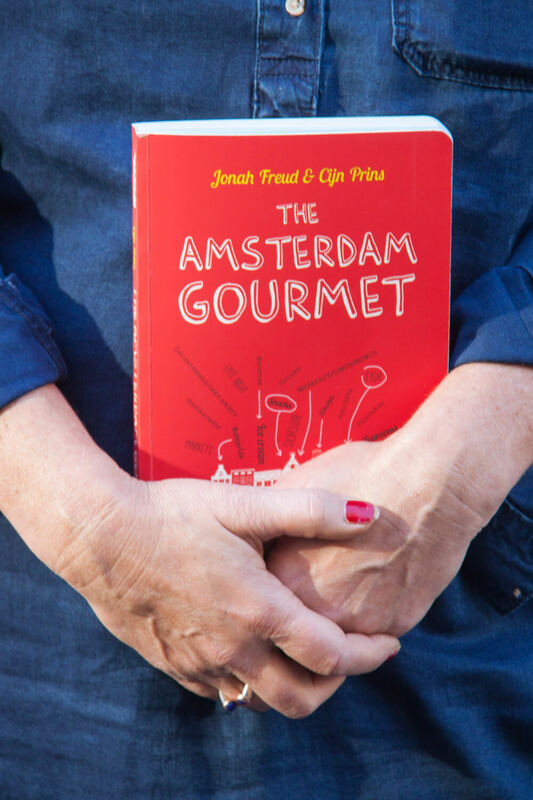 Your latest book is a culinary guide of Amsterdam titled The Amsterdam Gourmet. You wrote in cooperation with your daughter Cijn Prins. How would you describe the food scene in Amsterdam? J.F. : The food scene changed the last 5 to 6 years. It’s rough. ETH: What do you mean by rough? J.F. : It’s rough to be a cook in Amsterdam, there is a lot of competition. And the food is rough as well. You don’t have nice little slices on you plate anymore, no you have a whole piece of meat now. I love it. Michelin star cuisine is completely out. People have to feel comfortable. A lot of chefs in Amsterdam with one or two stars started low profile restaurants. J.F. : Yes he started a Hamburger restaurant. He also has a Hot Dog restaurant. The chefs here are busy bringing the food back to normal people. ETH: What is your favorite place for dining? J.F. : That is always difficult question to answer. But I think my favorite is Restaurant Bordewijk. The chef has been cooking there for more than 30 years and he always has been cooking the rough style. Talking about young chefs I like restaurant BAK a lot. ETH: You are a very busy woman. Do you still find time to cook? J.F. : I cook every day. It’s my way to relax. I am very busy at the moment because I am the food consultant in a mini series for Dutch TV which revolves around food. ETH: When will it be on TV? J.F. : In March 2016 on AVRO3. ETH: When I came in you were busy cooking a big pot of soup for the refugees in your neighborhood. J.F. : Yes, I think we all have to do something so I am making a pot of soup once a week. ETH: That is very kind of you. J.F. : It’s not kind, it’s just human. Thank you Barbara for the nice interview.